- Kazakhstan is literally the vast heartland of Eurasia, the latter has its geographical mid-point in Eastern Kazakhstan. - Astana is unique because it is a capital city right in the middle of Eurasia. 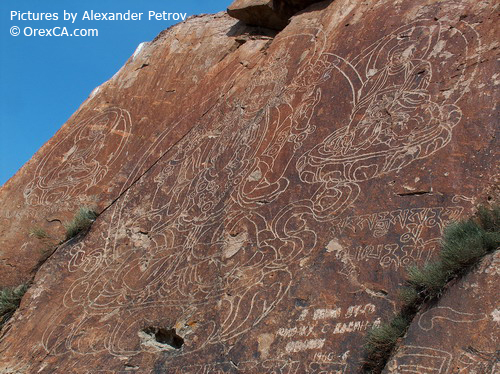 - Kazakhstan is the country where man first climbed on a horse thousands of years ago. It has even been said that Kazakh means "Free Rider." 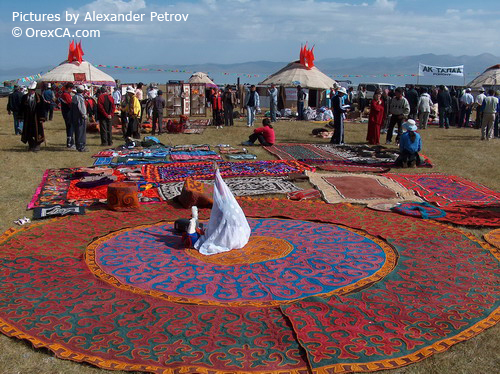 - Kazakhstan is the heartland of the nomads: here is where the first steppe nomads came from and likewise the nomad music, freedom and the famous hospitality still rules the country today. - Kazakhstan is also the homeland of the first cosmonaut to travel into space in modern times. - Kazakhstan's Altai Mountains and its magic Mount Belukha are considered to be the homeland of magic Shambala, the mystical Buddhist paradise. - Kazakhstan borders the majestic Caspian Sea which is the only inland sea in the world and which is famous for its caviar. - Kazakhstan has immense untouched landscapes, great, open and free, with a unique mix of true deserts, steppes, savannas, taiga, tundra, wild forests, pristine lakes and rivers. - Kazakhstan has an abundance of untouched mountain nature, and glaciers up to 7,000m in altitude. These ranges are devoid of people and, because of the altitude, the light and colors are very different from those of Europe and Eastern Asia. - Kazakhstan has deep, spectacular canyons, quite often part of reserves or national parks; devoid of people but filled with abundant wild fauna and flora. - Kazakhstan is home to the Karagiye Depression (Mangyshlak peninsula - located 132 m below sea level), the lowest point in the world after the Dead Sea in the Sinai. - Kazakhstan gave us tulips and has many more native plants of great beauty. - Kazakhstan is a wildlife paradise filled with wolves, snow leopards, bears, wild sheep (argali), wild donkeys (kulan), Siberian deer (maral), magic rare saiga antelope, elk, sturgeon (hausen; the famous caviar fish), and thousands of flamingos, pelicans, eagles and numerous other species of birds. - Kazakhstan embodies the mythos of Genghis Khan. His mother was Kazakh and history holds that he is buried in Kazakhstan. - Recent archeological excavations give rise to speculation that Kazakhstan is also the homeland of the Amazons, the bold, brave women warriors described 2,500 years ago by the Greek historian Herodot. - Kazakhstan's creed is also founded on religious freedom and tolerance. All the great religions of the world meet here regularly, working together for a better world. - As a newcomer in international tourism, Kazakhstan is in the enviable position of being able to develop everything in a unique and ideal fashion, ending up in a better situation than all other destinations around the globe.